Horseshoe Casino Baltimore partners with several hotels in the area, Marriott Inn Harbor at Camden Yards, Sheraton Inner Harbor, Baltimore Marriott Waterfront and Holiday Inn Express Baltimore to name a few. 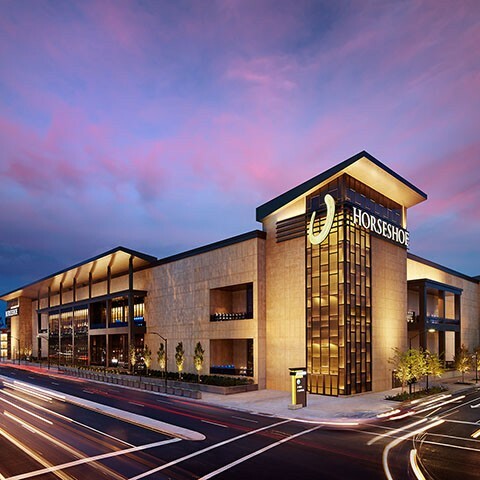 Horseshoe is known for best odds and highest limits, and Horseshoe Baltimore delivers the goods with 153 table games, 100x odds on craps and an exclusive high-limit gaming area. Find your favorite table, BlackJack, Craps, Baccarat, Roulette, Big Six, Let It Ride, Three & Four Card Poker. At Horseshoe Baltimore, you will find more than 2,200 of the newest, hottest slots, including more than 150 video poker machines. Whether you enjoy the latest penny slots or want to explore our $500 slot machines in our high-limit area, you will find your game. Horseshoe also features in-house linked and standalone progressive jackpots.